If using the product for the first time, gradually introduce to your dog over a period of 5 days. 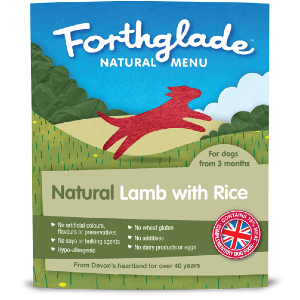 It will take between 3-8 weeks to see the benefits of using Forthglade Natural Menu. Lamb (50%), Chicken (25%), Rice (4%), Minerals.